Andrew Edwards seeks to offer a new perspective for the residents of East Bradford and prepare the township for the future. In addition to modernizing and optimizing municipal activities, he wants to prepare for the emerging demographic, economic, and environment challenges materializing over the coming years. Born and raised in Delaware before later moving to Pennsylvania, Andrew will combine his academic knowledge with hands-on experience from both the private and public sectors. Besides working for the Social Security Administration, he has spent several years in the customer relations and retail management fields. Other than his public and professional work, Andrew serves as an advocate for space exploration and planetary science through his memberships with the Planetary Society and the National Space Society. He holds a BA in Political Science from the University of Delaware and a MA in Diplomacy from Norwich University. Andrew lives in East Bradford Township with his wife, Megan. Janine Galen strongly believes public education is the backbone for families within our community. Public schools belong to the community, and the School Board is the place where the community has a voice in how the young people in our area are educated, and what they know about the world, and what they learn to value as adults. She will work to ensure that our schools are kind, supportive places where students come to discover new ideas and are challenged to go beyond what they thought possible. Janine has lived in West Bradford for 28 years, and raised four boys, three of whom graduated from DASD schools. 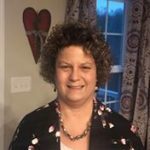 She has an MBA from West Chester University and an undergraduate degree from Drexel University in Management Information Systems. She has worked in the financial services industry for 30 years, focusing on audit/risk in business and technology projects and has been a Board member and Executive Treasurer of her Unitarian Universalist congregation for a total of 10 years. A resident of East Bradford Township, Bret defeated an 18-year incumbent in 2017 to become the Magisterial District Judge in District 15-1-01, the busiest magisterial district court in Chester County. 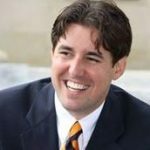 He is also a local attorney and the founder and managing partner of Binder & Canno, LLC, as well as a former law clerk for the Pennsylvania Supreme Court. His practice focuses on small business, real estate, and commercial litigation. 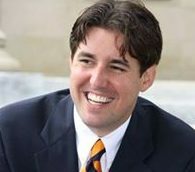 Bret earned his law degree at Villanova University School of Law and his undergraduate degree from the University of Pennsylvania. He co-authors a regularly updated book on evidence with his father (Binder on Pennsylvania Evidence, 10th Edition, Pennsylvania Bar Institute). He served on the West Chester Area School District Board in 2014-15 and has been on the board of numerous local non-profits, including the Chester County OIC, which focuses on adult literacy, as well a group dedicated to preserving open space in West Chester. Come meet Democratic candidates who will be running in the 2017 and 2018 elections. Mix and meet with fellow Democrats and Party leaders who are advancing the progressive changes happening in Chester County. A new feature of our monthly meetings will be our guest speaker series. These will be local residents with expertise and insight into issues that affect our community. Tom is director of the Chester County Community Coalition, a local not-for-profit group working to inform residents about Sunoco Pipeline’s quest for public utility status for its Mariner East Project. Construction of this pipeline will run adjacent to East Bradford Township and will include a newly constructed pumping station in West Goshen Township. Kim will be speaking on the benefits of Long Term Health Care, the issues and challenges facing long term health care policy, some of the existing responses and a national-level policy solution. Kim is the author of ‘Consumer Directed Health Care, A 360 Degree View’, and President of KDS Consulting, LLC. His work involves health care policy and strategy and he advises health plans, providers, medical technology firms, and industry trade associations on emerging issues in the field. Mr. Slocum is a Fellow Member of the Healthcare Information and Management Systems Society (HIMSS) as well as a former member of the Society’s Board of Directors. He is also the Chairman Emeritus of the Board of Trustees of the Texas Health Institute in Austin. He received his BA from the State University of New York at Geneseo and his Master’s in Business Administration from Xavier University. He has addressed audiences such as the National Governors’ Association, the National Lieutenant Governors’ Association, the Deputy Commissioners of the Food and Drug Administration, US Senate Staffers, and several state legislatures. 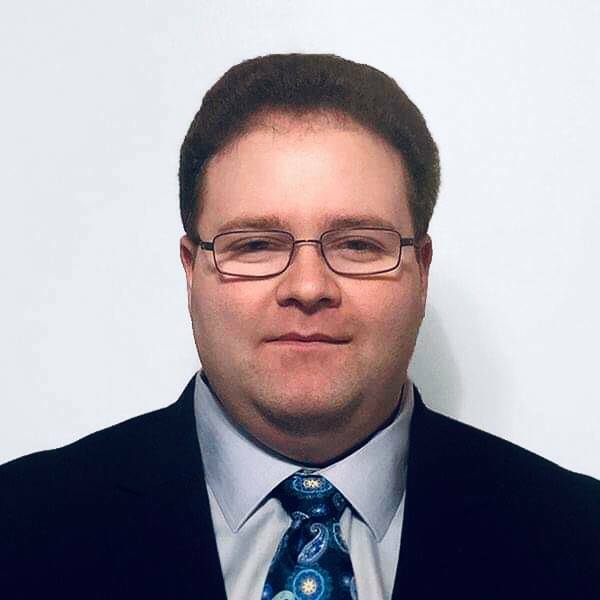 Bret will be speaking about the startup business group, Brandywine Valley Business Council, a business group friendlier to Democratic ideals than the Chamber of Commerce, of which he is a co-founder. Bret is also the founder and managing member of Binder & Canno, LLC, a law firm located in East Bradford Township. Before founding his law firm, Bret was law clerk to Justice Sandra Schultz Newman of the Pennsylvania Supreme Court. He credits his interest in the law to his father, David F. Binder, Esquire (author of “The Hearsay Handbook” and “Binder on Evidence”). He was the Democratic candidate for the 156th District State House in 2012. He frequently hosts Democratic events at Windon Hall, his historic home in East Bradford Township. Bradford Democrats shared a post.